The ArcGIS Book immerses you in web GIS and helps you put what you learn into action. Want to get your feet wet or dive right into web GIS? Visit the website TheArcGISBook.com, where you will find The ArcGIS Book: 10 Big Ideas about Applying Geography to Your World. The ArcGIS Book, new from Esri, outlines 10 big web mapping ideas and how to put them into action using the ArcGIS platform, Esri's GIS technology. The website includes accompanying Learn ArcGIS lessons, videos, and other supporting materials. The ArcGIS Book was designed to introduce GIS professionals and others to the increasingly powerful capabilities of web GIS, including spatial analysis and 3D mapping. Esri's ArcGIS is a complete system for discovering, creating, consuming, and sharing geographic data, maps, and apps that fully operates on the web and mobile devices. 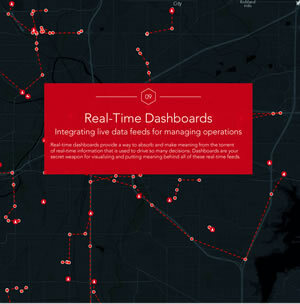 "At Esri, we recognize that the web, cloud computing, smartphones, and tablets have forever transformed how GIS technology is applied," said Clint Brown, director of product engineering at Esri. "In response, ArcGIS has become a web GIS platform. We wanted to publish a book that not only describes how these trends have transformed GIS but also teaches people how to use the system." One chapter is devoted to storytelling using story maps. 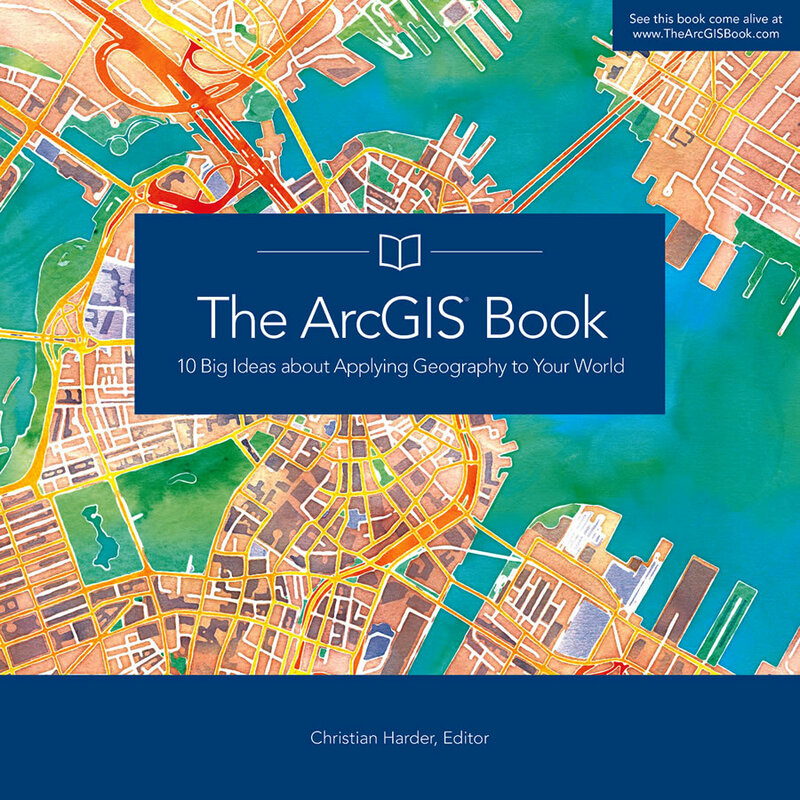 Among the 10 big ideas covered in The ArcGIS Book are the online mapping revolution and its role in GIS; storytelling with maps; mapping in 3D; the social implications of web GIS; the power of spatially intelligent apps; and the emergence of mobile GIS on smartphones with, as the book says, "a live data sensor in your pocket." In an interactive and interesting way, the book takes readers on a journey on how to create and share GIS web maps, use new smart mapping capabilities in ArcGIS to make beautiful and well-designed maps, do spatial analysis online, make 3D web scenes, work with mobile GIS, and much more. Each chapter also includes an ArcGIS Lesson that helps readers put what they learn to work using a real-world scenario and Esri-provided data and ArcGIS. The lessons give them hands-on experience in all aspects of web GIS, including crafting story maps, solving problems with spatial analysis, editing geographic data, and building 3D models. The book also inspires the enthusiastic and visionary mapper, providing links to hundreds of live examples of web maps and apps and videos of thought leaders describing some of the trends driving the industry. 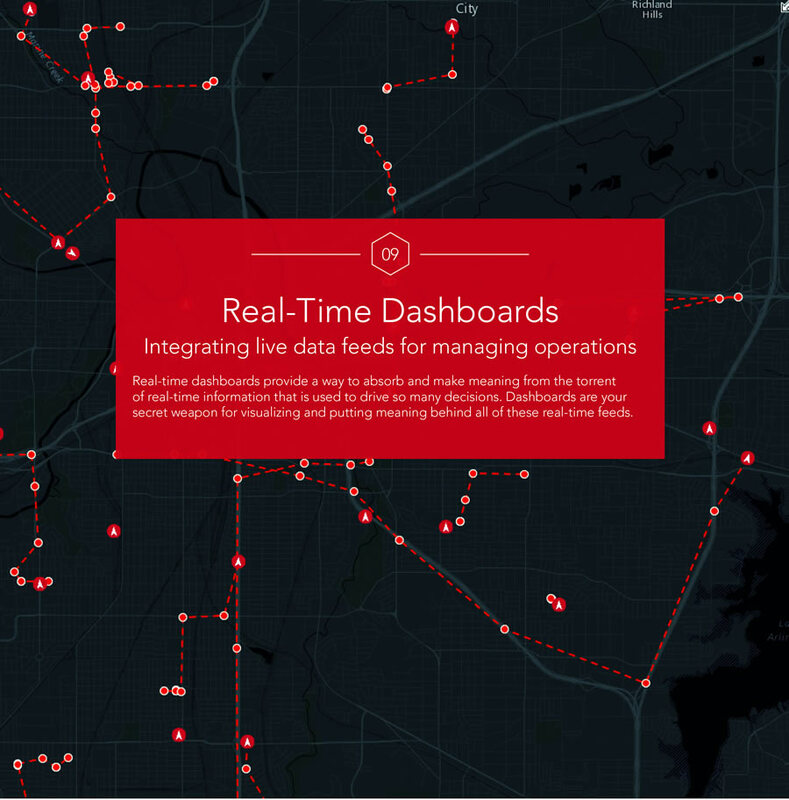 Web GIS powers dashboards, which can be used to visualize and make sense of real-time data. 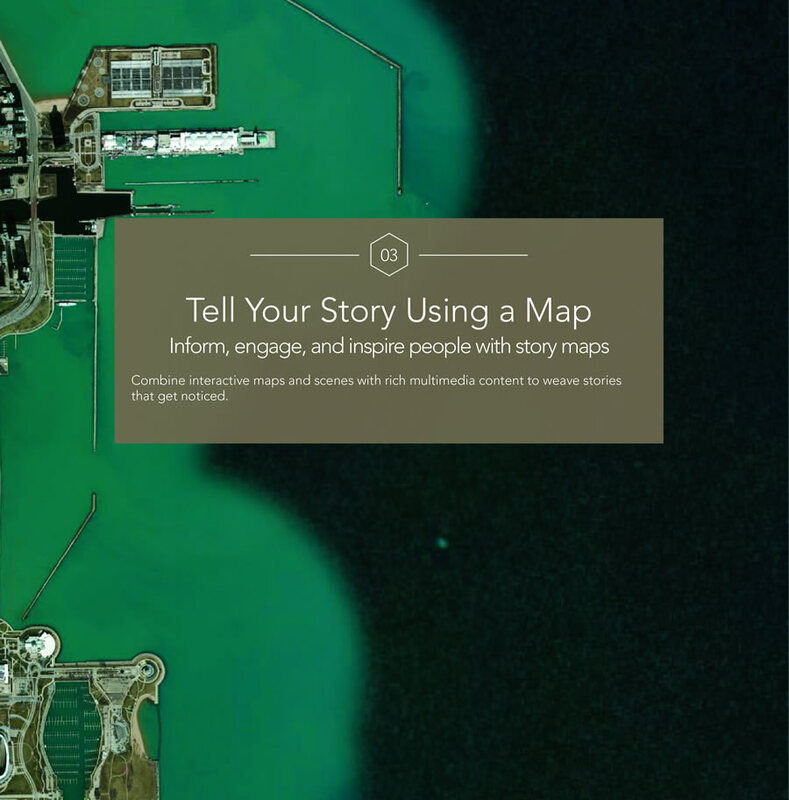 Interspersed throughout The ArcGIS Book are short essays written by thought leaders such as Esri president Jack Dangermond; Allen Carroll, program manager, storytelling, Esri; and the architect and graphic designer Richard Saul Wurman, who cofounded the Technology, Entertainment, and Design (TED) conference. A print version of The ArcGIS Book is available for $19.99. You also can download a free PDF [70 MB] of the book. Edited by Christian Harder of Esri, The ArcGIS Book was written for a diverse audience, including GIS professionals just venturing into the new world of web GIS as well as web technologists, information workers, web designers, and others who increasingly recognize how maps play a pivotal role today in clearly communicating information. The book also serves as a perfect introduction to web GIS for managers and executives interested in understanding how maps can help them make sound business decisions for their organizations.